Put aside the ick factor and consider this: for many people around the world, eating insects is neither strange, disgusting nor exotic. 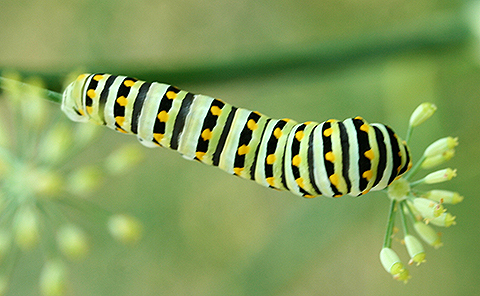 Bugs are their food, their meals, what they and their ancestors have been eating for ages. Why? Number one – the buggers are packed with powerful nutrition. Comparing iron content, beef has 6 mg per 100 grams of dry weight and Mopane caterpillars have an astounding 31 mg of iron per100 grams. Traditionally eaten in southern Africa, these plump caterpillars are also an excellent source of potassium, sodium, calcium, phosphorous, magnesium, zinc, manganese and copper, according to a report by the Food and Agriculture Organization of the United Nations. Number two: at least five million children a year die because their meager diets contain so little protein and calories. According to Frank Franklin, director of pediatric nutrition at the University of Alabama, a protein processed substance from edible insects could offer a less expensive solution to Plumpy/Nut, a peanut based food given around the world to children suffering from malnutrition. Number three: What’s more friendly to our environment: Bugs or the vertebrates Westerners prefer? Which take up less space? Which emit far less pollutant gases? No contest. Bugs win hands down. Number four: As world population expands, land and resources needed to sustain cattle and pig production will only shrink. How will all those new hungry mouths be fed? It seems plausible that new sources of protein for a steadily increasing population will have to be found. Number five is the health factor. Cattle and pigs measure high in saturated fat content. Bugs do not. Which means if people eat more bugs than livestock, they will suffer less heart disease and fewer premature deaths. Giving up their hamburger and steaks won’t be easy for Westerners. But some are already entering this new bug eating terrain. In Montreal students from McGill University are in the process of creating a protein-rich flour made from insects. They’re starting with grasshoppers. Hm…Grasshopper bread anyone? Contrary to popular thought, tulips didn’t originate in the Netherlands. They arrived as gifts from the Sultan of Turkey just as the Netherlands, enriched by its hugely profitable East Indies trade, was embarking on its Golden Age. Eager to show off their wealth, merchants built estates with luxurious gardens that showcased this dazzling new flower – the tulip. And not just any old plain Jane yellow or white tulips. No. THE tulips to grandly display were the exotic, flamboyant, two colored variety. White with dazzling flames of richest reds, pinks and purples, they were prized for both their beauty and rarity. Expensive to begin with, they were given exalted names such as “Admiral of Admirals” and “Alexander the Great” and quickly began to sky rocket in price. 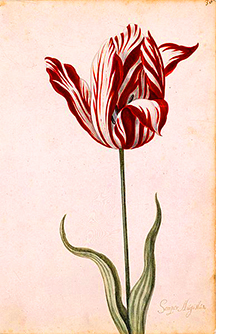 At the height of Tulip Mania in the Spring of 1637, some coveted single tulip buds were selling for more than 10 times the annual income of skilled tradesmen. As it turns out the unique, striated beauty of these tulips was caused by a virus. Known as Mosaic Virus, this non-lethal virus broke tulip colors into two or more hues. The peak of the tulip mania bubble came during the winter of 1636-37. In what had become a wild tulip futures market, some bulbs were changing hands over ten times a day. But no deliveries were ever made to fulfill those contracts. In February, stunned speculators across the Netherlands watched the tulip market collapse. Buyers had shriveled up and disappeared, taking with them dead pipe dreams of getting rich on sick flowers. Stock Trading Suspended – uh-oh! Why Should I Put More Money in China? 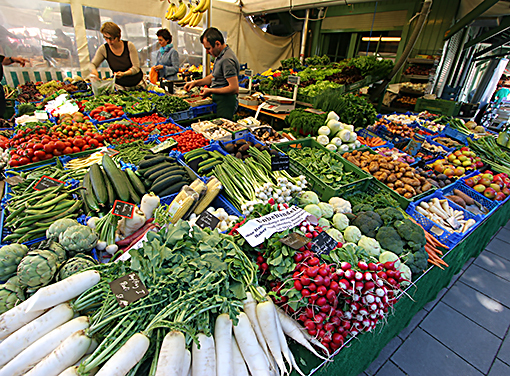 What’s known for sure is that vegetarians DO have lower blood pressure than meat eaters. Numerous studies have conclusively shown this, including most recently a report in Journal of the American Medical Association: Internal Medicine by Dr. Neal Barnard of Physicians Committee for Responsible Medicine (PCRM). He and his colleagues based their conclusions on at least 7 controlled trials and 32 observational studies. 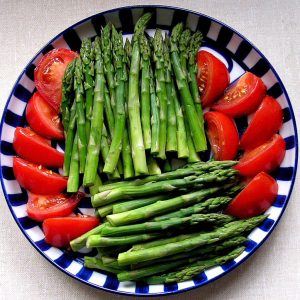 As early as 2006, inspired by research that showed “individuals who consume a vegetarian diet have markedly lower blood pressures than do non-vegetarians,” the National Institute of Health recommended that we eat diets rich in fruits, vegetables, nuts and beans. Sure sounds logical to me. Oh my. I myself have been eating less and less meat for numerous reasons. Add Dr. Barnard’s opinions to these reasons and the vegetarian path looks smarter all the time. Is that Beef or Horse Meat in your Burger? Recently launched in the UK and already used throughout Europe, new weight loss pills that inflate into stomach balloons are now in the investigational stage in the US. Here’s how they work. 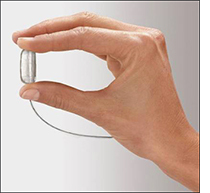 A patient swallows a large pill attached to a long catheter. Inside the pill is a balloon that’s inflated once the pill arrives in the stomach. Taking up space about the size of an apple, the balloon causes the patient to feel fuller when eating. In theory the patient will then eat less. Up to three balloons can bob around in a stomach at one time. After three months of hopefully consuming less food and losing weight, the patient has the balloons removed in what is called an “endoscopy procedure.” A thin tube is threaded down the anesthetized patient’s throat to the stomach. This time around the balloons are deflated and pulled back up and out. The procedure pioneered by Obalon costs about $3,300. Reservations come from fitness expert Tim Bean and JAMES HAMBLIN, the writer who wrote the Atlantic piece. They share the opinion the balloons could in fact actually enlarge stomachs. My own reservations start with an aversion to swallowing hefty-size pills and judging from the company’s own illustrations, pictured here, this is a REALLY hefty-size pill. NEXT, imagine the sensation of that attached plastic catheter slithering down your throat into your esophagus, then into your stomach. Whew! Now, onto the pills and balloon themselves. Where are they made? How are they made? Assuming all is ship shape, the journey between their manufacture, travel and placement seems like a long, complex one so it would be hard not to consider the possibility of errant bacteria somewhere along the way. And how about the body’s own rejection system? Bodies don’t like foreign objects setting up housekeeping inside their exclusive domain. I would guess that’s why the balloons are only allowed a three month’s stomach residency. In theory the balloons freely float above stomach contents and cause no difficulties. So far there’s nothing to disprove this. But the procedure is still quite new. Nevertheless, in a country where treating obesity means big bucks for doctors in that specialty and the obese themselves are hungry for any fix that PHYSICALLY prevents them from eating all they want, it’s probably only a matter of time before balloons are bobbing about in America’s rotund stomachs. 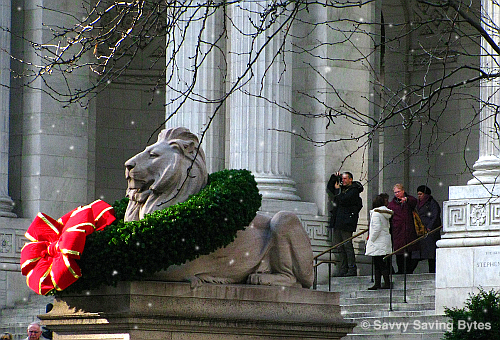 Our proud library lions on 42nd and Fifth get the city’s royal Christmas treatment too with their own colossal wreaths and red bows. When I first moved to the city I hit the public libraries around town mostly for books. In those days I often read a book a day. These days I sometimes watch a movie a day, thanks to the library’s liberal borrowing policy of allowing card holders to borrow as many dvd’s as they can carry. You can also reserve highly popular movies and the library will give you a call when they’re ready to be picked up. Their film collection is also rich in many hard to find foreign films. And old films. What a treat: suddenly spotting films on their shelves I haven’t seen since I was a child – films I’ve never forgotten. One such find last week was “Leave Her to Heaven” starring Gene Tierney as a pathologically jealous woman who kills off anyone standing between her and her husband’s attention. There’s a daring, unforgettable scene in it with Tierney in dark glasses cooly sitting in a boat watching her husband’s disabled brother flounder in lake water and drown. I discovered Martin Scorsese was also impressed by that scene when I heard him eloquently describe it in an interview about movies that strongly moved him. Much more powerful in the original black and white version, the film has unfortunately been colorized. Every New York City neighborhood contains one, sometimes two libraries. Their film selections are of course limited because of size. The great Big Daddy collections, where you can browse many shelves for ages, can be found at the Mid Manhattan branch at 41st and Fifth and the public library at Lincoln Center. If you’re a film aficionado and still haven’t checked out our public library’s impressive movie collections, you’re missing out on a very sweet entertaining deal.